Here is a really nice arrangement of Dancing on my own by Callum Scott. The melody is played above the bass notes and chords. Be aware of the fact that I do a lot of improvising. Especially in the bars in between the melody. I've written the first section out as close as possible to what I do in the video. The second time I play the verse and chorus I just do some improvising but basically it is the same. Practice in improvising and playing around with that C, G and F chord. This tablature is a perfect start. Enjoy! Here you can buy and download the tablature of Deadlines, the first song of my first Album "Strings 'n Air". 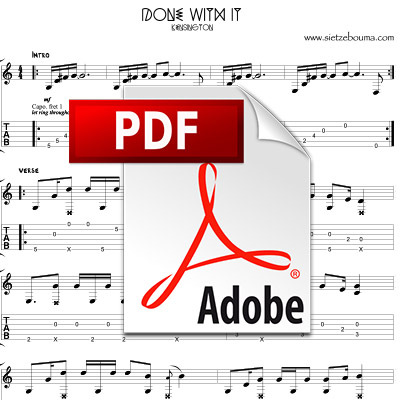 It's in PDF, so every possible computer or tablet cab read this. This is an arrangement of a great early TV serie called The Ducktails. I made a Fingerstyle arrangement of this, which I recorded for YouTube. 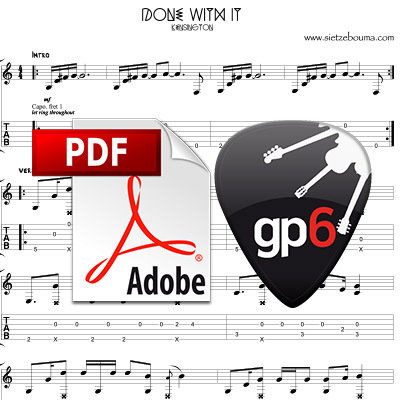 In this package you get a pdf file and a Guitar Pro file, which you can load in Guitar Pro. This is a good way to practice the song, because of the play back (and slow down! :)) function. This is an arrangement of a great early TV serie called The Ducktails. I made a Fingerstyle arrangement of this, which I recorded for YouTube. Here is a really nice arrangement of Finesse by Bruno Mars. 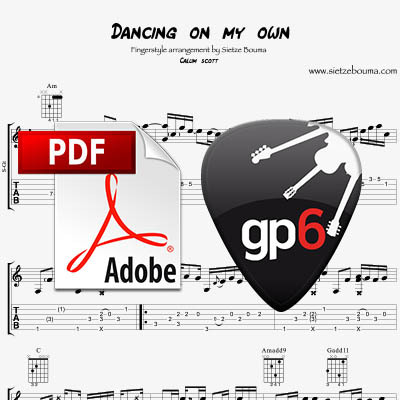 This product contain's both the PDF and Guitar Pro file. It's played in normal tuning with the capo on the first fret. This makes sure that you play it in the original key. I do a lot of popping and slapping and hammer ons and pull offs with my left hand, so it's really worth the case to practice this one to learn some new techniques and Finesses ;) Good Luck! Here is a really nice arrangement of Finesse by Bruno Mars. It's played in normal tuning with the capo on the first fret. This makes sure that you play it in the original key. I do a lot of popping and slapping and hammer ons and pull offs with my left hand, so it's really worth the case to practice this one to learn some new techniques and Finesses ;) Good Luck! 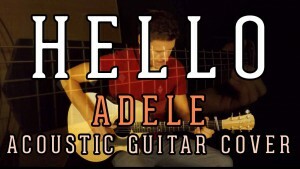 This is my acoustic guitar arrangement of Hello by Adele. 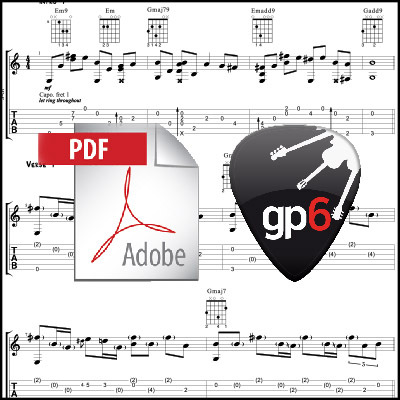 You can download the guitar tab / tablature in PDF and in Guitar Pro (GPX)! I hope you like this one! Please check also my other video's and tablatures! This is my acoustic guitar arrangement of Hello by Adele. 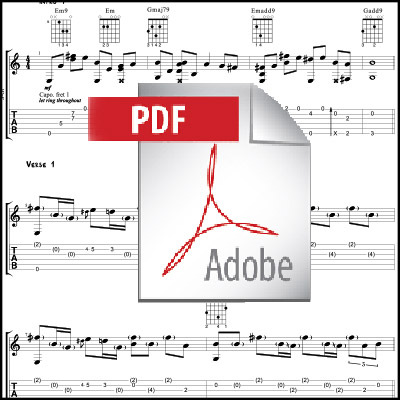 You can download the guitar tab / tablature in PDF! I hope you like this one! Please check also my other video's and tablatures!